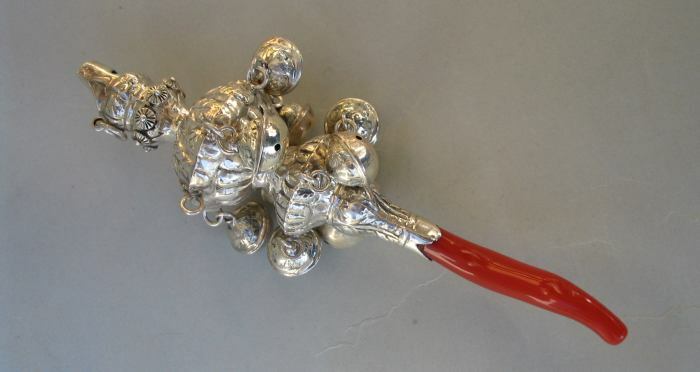 silver baby rattle are known in England since the beginning of the 18th century, but most extant examples date from c. 1760. 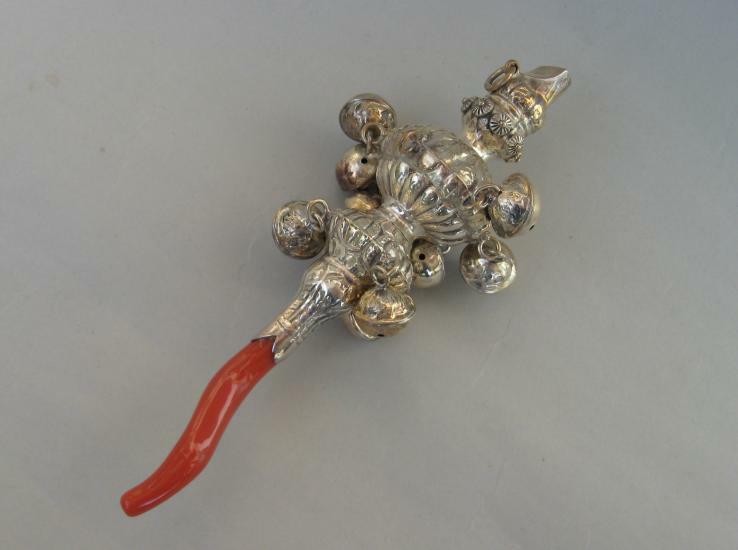 Rattles with their elaborate chased and repoussé ornament were often given as a lavish christening gift. 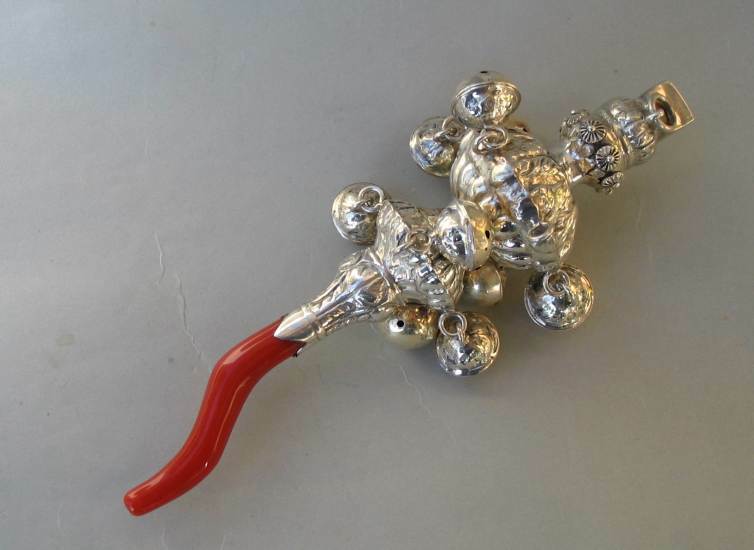 This baby rattle is made in the typical English style with elaborate ornament whistle, bells and coral. 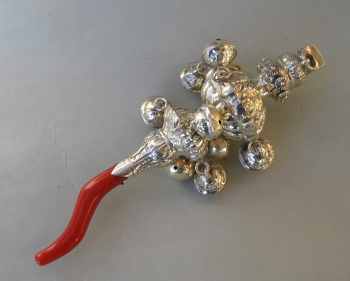 It consists of a whistle, a piece of teething coral, nine of the original ten bells, and a loop to hang the toy on a ribbon around the child's neck. Aside from being a teething device, the coral in the whistle and bells was thought to ward off enchantment and disease. 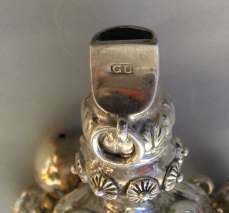 It bears the maker's mark "GU" for George Unite, a well known silversmith with premises in Caroline Street, Birmingham. 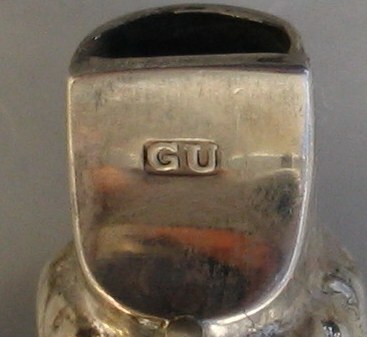 This mark was registered in 1832 and was used until 1945. 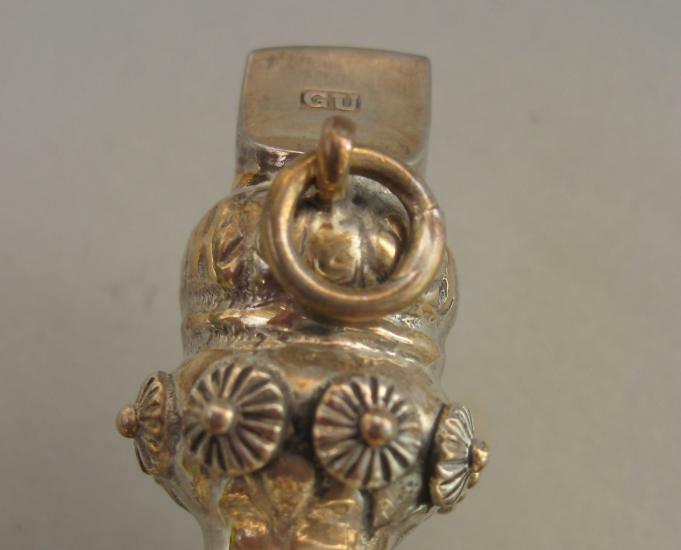 No other mark is present in the rattle and possibly it is silver plate and not sterling silver. The teething tool may be made of a "red material" and not of real coral. The rattle is 5 1/2 in long (cm. 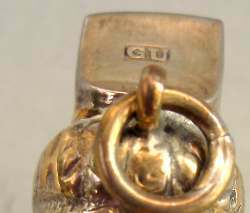 14) and was bought from an English dealer through the Internet.